WikiSym 2011, the conference on Wiki and open collaboration research took place October 3-5 in Mountain View, California. These are the connections among the Twitter users who recently tweeted the word wikisym when queried on October 5, 2011, scaled by numbers of followers (with outliers thresholded). Connections are created when users reply, mention or follow one another. In contrast, a few days earlier, these are the connections among the Twitter users who recently tweeted the word wikisym when queried on October 3, 2011, scaled by numbers of followers (with outliers thresholded). Connections created when users reply, mention or follow one another. NodeXL is developed by the Social Media Research Foundation (www.smrfoundation.org) – which is dedicated to open tools, open data, and open scholarship. 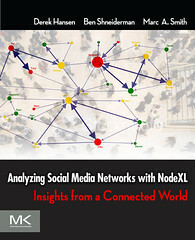 The book, Analyzing social media networks with NodeXL: Insights from a connected world, is available from Morgan Kaufmann and from Amazon. After visiting the Oxford Internet Institute on December 4th, I will be visiting Aachen University to talk about social media network analysis this December 7th and 8th. I will be visiting with my hosts, Zinayida Petrushyna and Ralf Klamma who have been doing insightful work exploring social media sites like Media Wikis and Wikipedia. The Wiki Watcher project is a big favorite of mine. 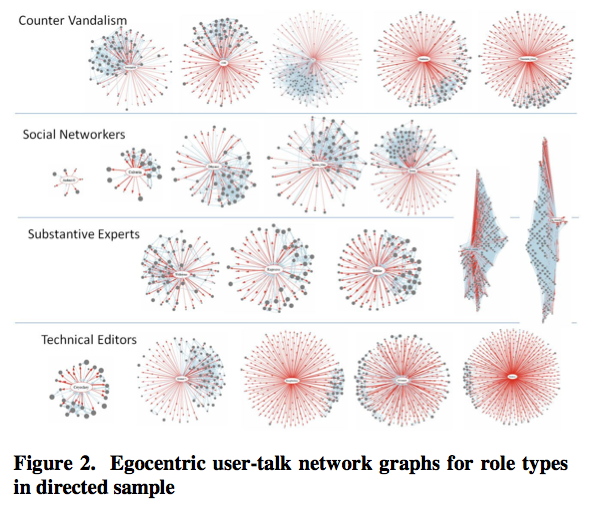 Their working group on Social Network Analysis on Dynamic Digital Networks is of particular interest. While I am back in Aachen, I hope I will get to see some of the folks I met at the “European Microsoft Innovation Center” (EMIC) located there. They focus on research into embedded systems which I see as having vast implications for the ways computers sense social relationships. When sociologically aware machines are widely used, we will have new ways of building and maintaining relationships. I will give three presentations over two days in Aachen – I hope you can attend if you are in the area! 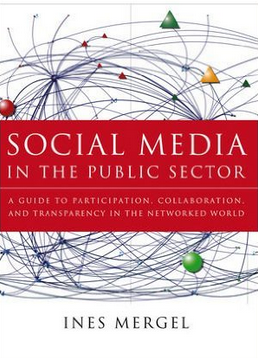 Using social media makes evidence of social relationships into machine readable data streams. 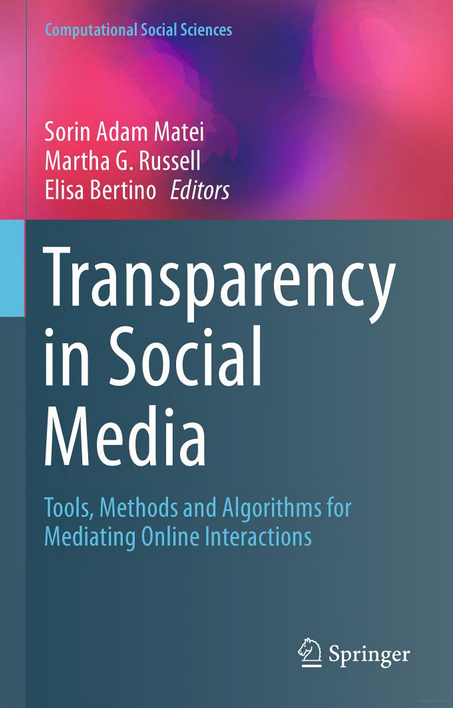 The resulting data sets contain time series, hierarchy, and network data structures that can be visualized to illustrate the range of variation in social media data spaces and participants. Histograms, line charts, treemaps, and network diagrams can be used in concert to illuminate the many facets of behavior and population present in social media spaces. 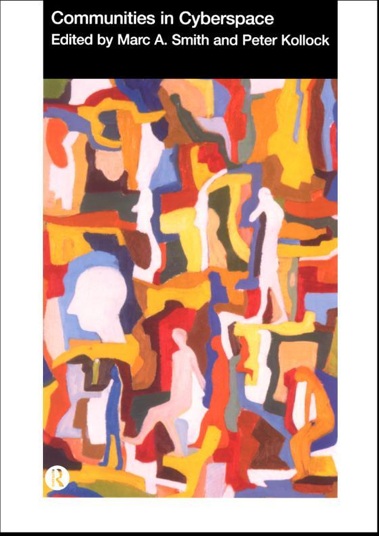 Resulting images illustrate the range of variation of individual and collective formations in social media spaces. 16:00 – 17:30 NodeXL – A hands-on guide: a workshop style review of sample data sets that are processed through NodeXL operations to generate metrics and a visualization that tells a story. As social media networks proliferate there is a growing need for tools to manage, analyze, and visualize network graphs. NodeXL is an add-in for Office 2007 that provides social network diagram and analysis tools in the context of a spreadsheet application. Adding the directed graph chart type to Excel opens up many possibilities for easily manipulating networks and controlling their display properties. 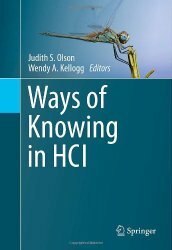 In this workshop the steps needed to install and productively operate NodeXL for Office 2007 are reviewed. The free and open NodeXL add-in provides directed graph charting features within Excel, allowing users to create node-link diagrams with control over each node and edge color, size, transparency and shape without requiring the use of a command line interface or programming language. Since NodeXL builds within Excel, all of the controls and programmatic features of Office are available. Additional features of NodeXL generate social networks from social media data sources like personal e-mail (drawing data from the Windows Desktop Search engine) and the Twitter social network micro-blogging system. Arbitrary edge lists (anything that can be pasted into Excel) can be visualized and analyzed in NodeXL. 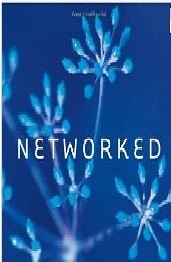 This session will provide a walk through the basic operation of NodeXL. New sources of data from everyday life are being captured and recorded with mobile devices, creating a new stream of archival material that is richer than all but the most obsessively observed biographies. Many organizations are adopting social media and creating data sets that map their internal social network structure as an accidental by-product. Studying these data is sets is a focus of growing interest. Research projects like SenseCam are now becoming products and services like nTag, Spotme, Fire Eagle, and Google Lattitude using devices like iPhone and G1 are weaving location into every application. When my phone notices your phone a new set of mobile social software applications become possible that capture data about other people as they beacon their identifies to one another. Additional sensors will collect medical data to improve our health and safety, as early adopters in the “Quantified Self” movement make clear. Social media systems are being linked to one another to enable cascades of events from a single message as status updates are passed among Facebook, LinkedIn, Twitter, and blogs automatically aggregate the results of searches and post articles that themselves may trigger other events. Taking a photo or updating a status message can now set off a series of unpredictable events. The result will be lives that are more publicly displayed than ever before. Add potential improvements in audio and facial recognition and a new world of continuous observation and publication emerges. Some benefits, like those displayed by the Google Flu tracking system, illustrate the potential for insight from aggregated sensor data. Risks include more efficient state and corporate surveillance and self-imposed censorship.